This combined scrubbing power is sure to get dirty hands clean! 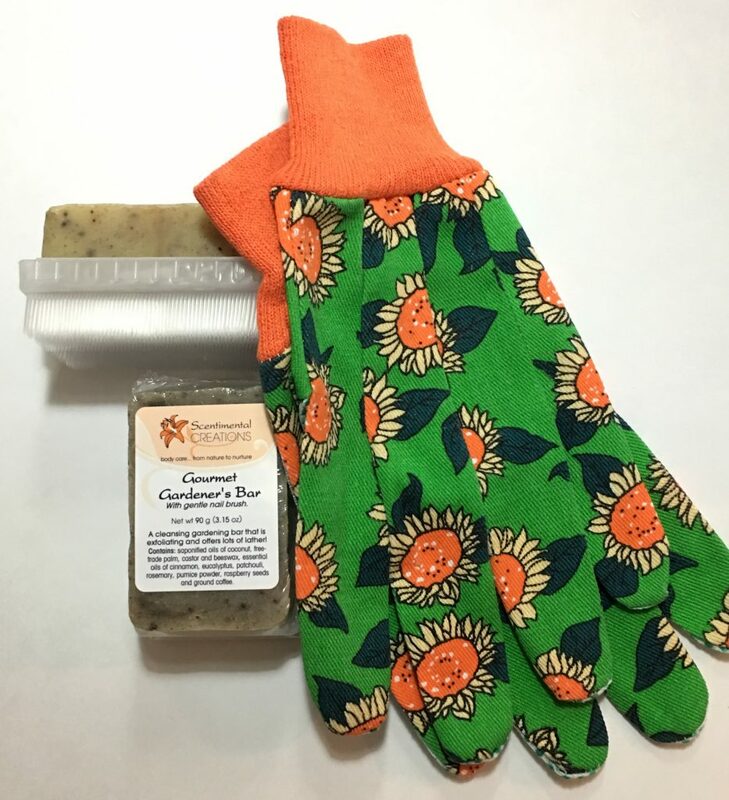 Our gourmet gardener’s soap comes with a gentle brush and very effective. Works wonders to remove dirt of cuticles and under fingernails. Great for the gardener, mechanic and the landscaper! Contains saponified oils of coconut, free-trade palm, castor and unrefined beeswax along with ground coffee beans, pumice powder, raspberry seeds and essential oils of cinnamon, eucalyptus, patchouli and rosemary. Smells delicious!! !